I love me some O Magazine. It has just the right blend of inspiration, food and fashion. Well, the January issue, did not disappoint. It is all about my favorite subject, “a brave new you”. I couldn’t wait to dive into this issue. Of course I’m looking for little nuggets of information I could share with my readers, and then it hit me, this issue is actually speaking directly to me. I have a confession to make ladies, I’m not always as bold as I want to be. There are still some moments, I question, doubt and second guess myself. Honestly, sometimes I still struggle with my courage and making a move when the spirit moves me. However, I have to and need to do it more frequently. As I was reading the issue, I came across a section asking which heroine I was and it highlighted a breakdown of 4 types of brave women, and unfortunately I could only barely connect with one. It was heartbreaking for me, that I didn’t recognize myself completely in any of the examples. I know you’re probably thinking, so what, or it was only 4 and really couldn’t represent every scenario, but I so badly wanted to connect. I wanted to clearly be defined in at least one brave area. For me, this was my reminder. While I’m an advocate for you, I still personally have some work to do. I realized I’m still playing it quite safe in a lot of ways and that’s why I’m not generating the results I planned. My desire is to be unapologetically me. Asking questions, promoting my gifts, challenging ideas I don’t understand and coming from behind my laptop are my new goals. Usually, the best way for me to really accomplish my goal is by sharing them with someone who can hold me accountable. It works everytime. So, I’m sharing this with all of you, because I need you to hold me accountable. When I say come from behind my laptop, I mean just that. Writing brings me joy, but getting out and connecting with other Bolder Sisters, is what I need a little more of. Facilitating workshops, using more of my training talents and creating live Bolder Sister events is part of my plan. It’s time I walk the talk and do more of the things that push me outside of that oh so comfy, comfort zone. With that being said, do expect some big things to happen in the next few months. I challenge you to do the same. Think BIGGER. 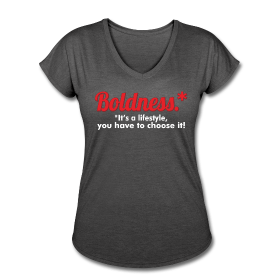 Think BOLDER. Do you have a talent you’re ready to reveal? Are you ready to start your business, write your book, climb a mountain, or even audition for a popular TV show competition? Remember ladies, your goals should scare the hell out of you. If they don’t, they’re not be big enough! 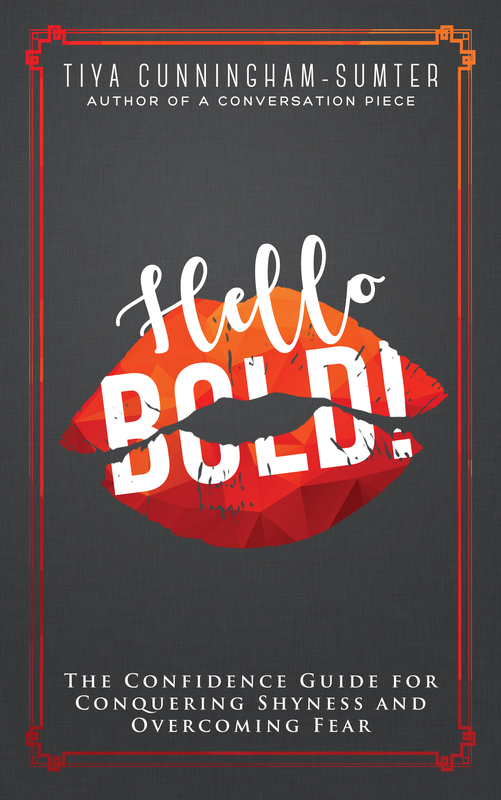 Bolder Sisters, What are your BIG, BOLD, HELLA SCARY goals? How are you going to make them happen? 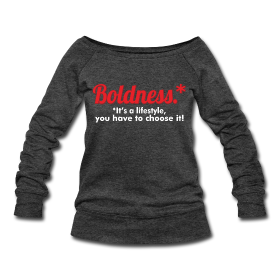 For every woman who wants to live an authentic, free, and bold life! Tiya, you are truly a Bolder Sister pioneer! You authentic heart and passion for women to live in their own authenticity is a gift and i appreciate you for helping me discover mine. Ahh, now I’m blushing. Thank you Kim, for allowing me to join you in the journey. You are an inspiration to me as well! Yes, you do have it together so it will be difficult to hold you accountable for reaching any goal. I already know you are going to work hard at doing things even bigger in the new year! Yolonda, you are the best. It’s so great to have people who support you, no matter what! Thank you! Great article Mrs. Tiya!!! It is truly amazing how your perception starts to shift when you take accountability for yourself & begin to start living outside your comfort zone. You are such an awesome inspiration to many presently so I can only imagine what the future holds. God Bless! !